By Jake Rocheleau in Web Design. Updated on November 12, 2018 . Landing pages and promotional websites are vital for converting visitors into users or customers. A quality design can be the key to improving sales numbers and bringing your product into center-stage. 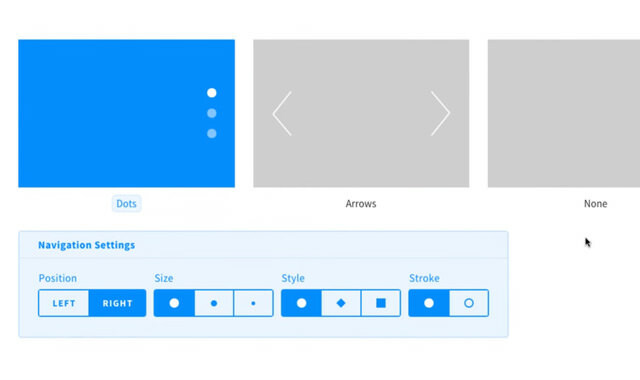 Slides Framework is a series of templates for generating single-page animated layouts. The package includes all HTML/CSS/jQuery source code and PSD/Sketch files for designers. This is easily one of the most exhaustive frameworks for constructing a landing page with style. In this post I’ll give an overview of the Slides Framework showing how it works and how it can apply to your own design projects. The Slides download pack includes a simple tutorial walkthrough for new users. This is called “First Steps” guiding you through the initial steps of creating a website from Slides Framework. Designmodo has a full 8-minute video on YouTube explaining this setup process. Check it out if you want to see how this works visually. The best part about Slides is that everything can be customized in your web browser. It has a setup wizard that guides you through everything and compiles the final template into a .zip file. This allows anyone to create a Slides template, download the source code, and then upload straight onto a web server. Simple! The template generator makes it super easy to select your own custom values based on how you want the layout to behave. Choose variations of text placement, image/video backgrounds, and even animations between slides. If you’re having trouble with the generator you can always visit the Slides manual online. This is only accessible to those who pay for a Slides framework license but it teaches everything you’d need to know. I’m most impressed with how snappy and quick the framework operates. No matter what browser you’re using, it feels like Slides is the fashionable landing page we’ve all been longing for. The framework includes 60 different slides to choose from and customize for your needs. Each slide can be mixed together with any other slide into one consistent layout design. This gives web designers a wide range of options when constructing a new Slides layout. Plus all of the fonts and icons in the Slides Framework are free to use on any template you design. This allows designers to customize designs in Photoshop or Sketch with the purpose of handing their ideas off to developers. Slides Framework is meant to save time during development when crafting animated landing pages. One license can be used for unlimited websites which is very handy for freelancers or creative agencies working with multiple clients. To learn a bit more visit the FAQ page which answers most questions about how Slides operates. If you want to save time with Slides you might choose to work with one of the pre-built templates instead. 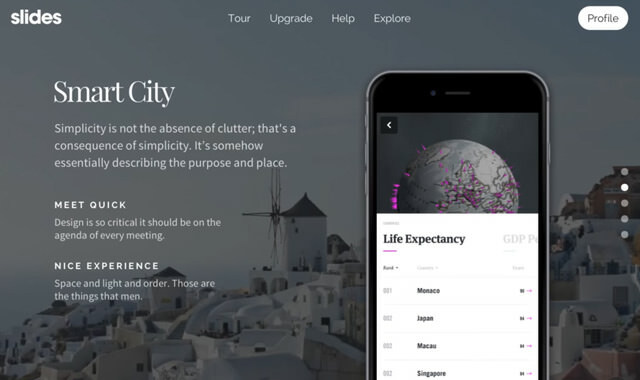 These come in a wide range of designs from background videos to iOS app landing pages. The Slides Templates video offers a fantastic glimpse into the various options. Anyone who purchases the Slides framework can choose between customizing a layout from scratch, or customizing one of the 11 quick-start templates. Every good framework includes a few demos and Slides even has its own custom examples page full of dazzling layouts. Once logged into the Slides backend you’ll be able to view these samples and pull the source code for your own project(s). Each sample layout demonstrates the breadth & depth that Slides has to offer. You can setup background videos or photos, along with custom animations between them. If you know how to customize a simple HTML file then you have complete control over these templates and how they operate. One handy aspect of Slides Framework is that it runs with HTML/CSS/JS code. This means you can build a landing page on WordPress, Laravel, Django, or even Node.js. But no backend language is required because Slides can run as a static HTML/CSS webpage. This gives developers a lot of flexibility when configuring Slides to run on any given website. For example, someone might want a landing page added to their WordPress site but not added onto the homepage. Slides can be used as a WP template applied to a single page without affecting any other page on the website. Keep this in mind if you want to work with Slides because having a certain level of HTML/CSS/JS proficiency will go a long way. 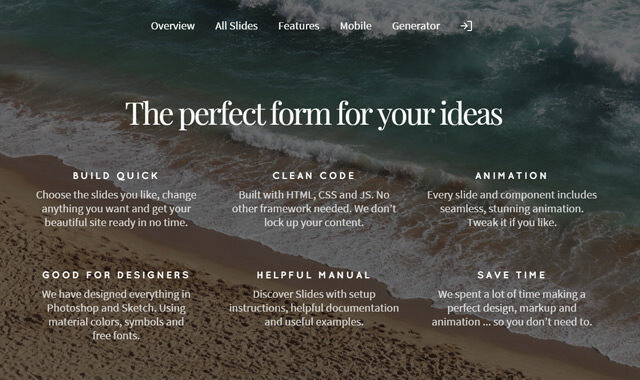 All-in-all the Slides template offers an incredible experience for any custom landing page. The Slides generator and pre-built templates can save a lot of time writing and rewriting code from scratch. The biggest point to note is that Slides does require some manual editing if you want to customize a layout to suit a particular project’s needs. It’s not mandatory to be an expert but you’ll want to know a bit about HTML/CSS to make the proper changes to any template. There are very few(if any) in-depth landing page frameworks on par with Slides. The code is exquisite, customization is fantastic, and the Slides code generator can save hours of toil. If you want to see a live preview visit the Slides landing page. It also includes details about Slides features and what you can expect from the framework. Overall Slides is dynamic, lightweight, and perfect for anyone looking to build a custom promo page or landing page with pizzazz.